Back in November, Amazon released the AmazonBasics 0.7 cubic-foot microwave for just $59.99 with free Prime shipping. The kicker? It works with (or without) Alexa. 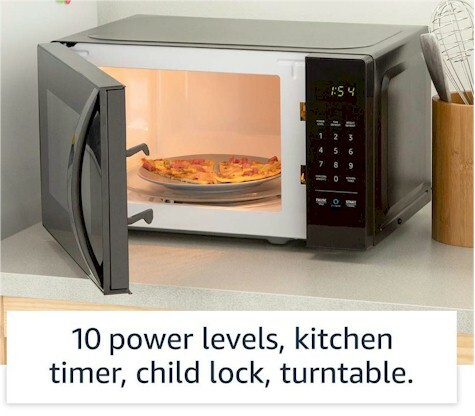 The first Smart Microwave. Smart or not, it's a great price on a microwave, and it comes just in time for Passover. While many people kasher their regular microwaves for Passover, if (like us) you don't kasher plastic, it's super-convenient to have a KFP microwave for quick warmup meals for the kiddies, melting chocolate, and lots of other conveniences. This one got 4.1 out of 5 stars over 826 customer reviews and is an Amazon's Choice item.